Though we’ve been casting high-quality stainless and carbon steel products since 1957, we’ve stayed on top of ever-evolving technologies, so we can continue to provide our customers with top quality and value. From MAGMASOFT Casting Simulation using digital 3-D Solidworks CAD to make your casting sound, to FARO measurement device verification and reverse engineering scans to manufacture patterns from original parts, Fisher Cast Steel can work directly with your team to put our latest technology to work for you, customizing the process and products to your exact specifications. Fisher Cast Steel utilizes Solidworks CAD in conjunction with MAGMASOFT to review and design a gating and risering system to make your casting sound. With Solidworks and MAGMASOFT casting simulation, Fisher can effectively work with your engineers to propose the most cast able solution for your stainless and carbon steel casting needs. MAGMASOFT simulation software affords Fisher the ability to simulate pouring a casting before real-time manufacturing in the foundry. This helps when predict problematic gating and risering designs to avoid unnecessary scrap. In addition, the software aids non-destructive (NDT) casting requirements that may apply to a project. Fisher Cast Steel’s engineering personnel utilize the latest version of Solidworks and has the capability of accepting a wide range of file formats including STEP, x_t, .IGS, etc. Fisher Cast Steel utilizes a FARO measurement device to ensure dimensional accuracy of patterns, castings and machined parts. This tool can be critical to the manufacturing process. In addition, this technology allows reverse engineering of existing parts and patterns. 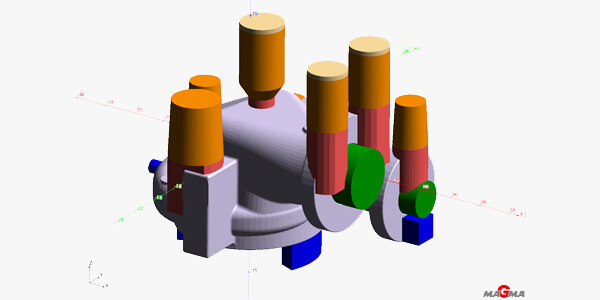 A 3-D model is generated in this process to allow the reproduction of a part. Once a model is created, the appropriate tooling can be manufactured for your project. This tool allows parts to be made faster, more accurately and less costly. Fisher Cast Steel has stayed in the forefront of the ever-changing foundry industry. The desire to make stainless and carbon castings faster, dimensionally more accurate, and less costly has aided the advancement in 3-D printing. Fisher designs cores and molds using Solidworks and MAGMASOFT, to insure soundness and dimensional accuracy of the casting. 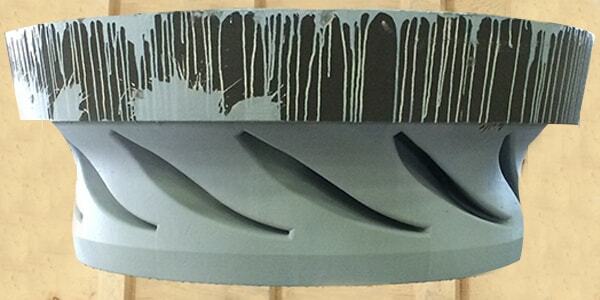 We have experience with printed molds and cores in various sand media. Parts cast have included impellers, volutes, pumps, valves for a wide range of applications. Fisher Cast Steel has vast knowledge and experience manufacturing CNC patterns in various materials for stainless and carbon steel castings. 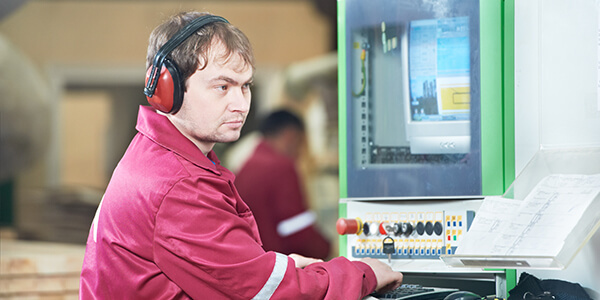 Our experience gives the customer the ability to utilize the most appropriate means for its tooling. Pattern precision, costs and lead times can be improved with CNC machining equipment. In tandem with Solidworks CAD, models are engineered with adjustments to ensure the parts are properly cast. CNC cut tooling can include wood, urethane, red board, aluminum and polystyrene or foam. 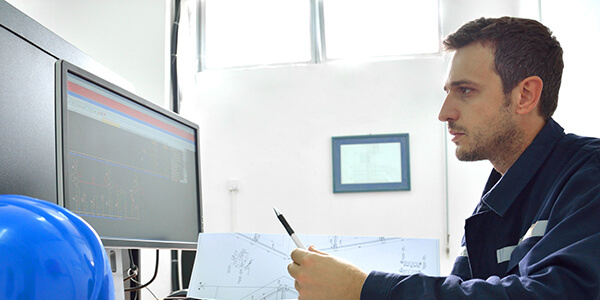 Our Faro Arm measurement tool can be used to verify pattern accuracy with an overlaid model. Patterns as small as inches and as large as 12 feet long have been CNC cut with Fisher Cast Steel. These patterns can produce parts a few pounds to several thousand pounds in stainless and carbon steel. Your consistent high level of performance on all our orders is noticed and appreciated. We can always count on Fisher.